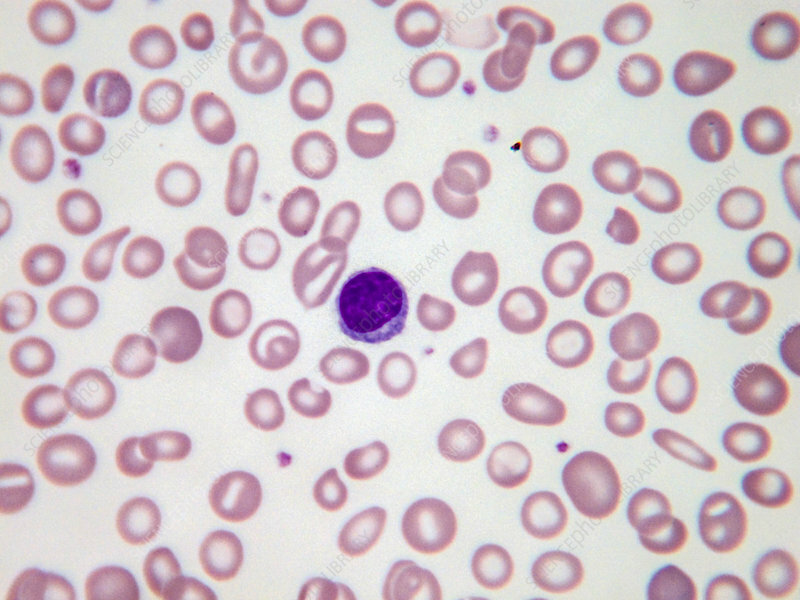 Elliptocytosis, also known as ovalocytosis, is an inherited blood disorder in which an abnormally large number of the patient's erythrocytes (i.e. red blood cells) are elliptical rather than the typical biconcave disc shape. Light micrograph, Wright-Giemsa stain. Magnification: 100x.